An interview with Alexander Fadeev, 4-time European Champion, 1985 World Champion, God of figures, and now coach. 43 minutes, 14 seconds. On his most embarrassing skating moment: One was the Olympics 1988 in which I didn’t skate well. The second, and I think the most embarrassing one, was the following world championships in which I was injured. I showed up in the warmup, and I did the warmup pretty good, but on this particular warmup before the short program, I reinjured myself and there was no way I could skate, I couldn’t even walk. And what’s embarrassing about it was right after me was my buddy [Viktor] Petrenko skating, and it happened very fast and they kind of didn’t notify him, it was very fast, and everyone kind of pointed at me and said, we could not skate because we were not ready for that. It just put them in a little bit of a distress situation. I don’t think it was a big deal, just the embarrassment. On how he started skating: I always want to skate. It doesn’t matter if it’s skates or just the slides, or even just sliding on my boots in the wintertime. 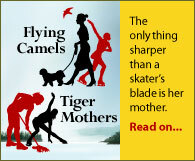 I think my parents noticed that and they just bought me a pair of blades, and I started walking on that and then I started skating, and that’s how it happened. On training in the Soviet system: Training is training, it’s just hard work. Soviet system was just a little different approach, for the result, and the pressure was tremendous, bigger than in the States. I think in the States, it’s like the will. If you want it, you go, and if you don’t, you don’t have to. But in Soviet Union, at certain points, if you don’t even want to go, they make you. They had certain leverage that they could pull. If you’ve never been there in that system, it’s hard to explain that, but it’s more like your lifestyle and the way you live, they can cut you from a lot of stuff. They can throw you out of your apartment. It’s about the education too. If you don’t agree, you’re not going to go to a college or anything. Back in time, they had a system that was working for the good. In the local clubs, the coaches and skating directors, they directly report to the federation, to the high level. And if somebody like me is talented, they see it’s coming, and they have a pretty good vision as to whether it’s going to be or not. And they just kind of look closely, and usually — when it comes to the person finishing the high school, that’s when they transfer, because of the higher education. It was usually about 16 years old. And plus 16 years old — it’s differently now, but back in time it’s usually when people are 17, 16 years old it’s when people finish the high school, and 18 years old when the boys go to the army. That’s the two factors that they can leverage on. On his Army service: Not like real Army [laughs]. It’s like you are still skating, but you serve in the Army. It’s kind of on and off. We had short camps just for . . . checkmark [laugh] to say that you did it and that’s what matters. To say that you did it, mostly. On how he got so good at figures: I wasn’t from the first. When I was a junior, I wasn’t that good at the figures, but then when I started practising in Moscow, that was 1980, and until 1985, that was very hard, a lot of time spent on figures. Then after that figures became my favorite. Not before [laughs]. I discovered I can improve, like little improvements, and when you clearly see that improvement, things that’s working, that’s when things become more interesting, so you get more involved. And if you see the improvement, it’s not boring at all. The closer to the perfect, the more interesting it becomes. On sharpening his own skates, and other skaters’ skates: The Professional Team World Championships, it was me, Paul Wylie, and Robin Cousins. And Robin came in, and I was sharpening my own skates, just with little stones, for my own needs. And Robin came in and was, oh, what are you doing? And I said, I sharpen my skates. And he said, oh, can you do mine? I just want to make it a little sharper. And I try to explain to him, it’s not that easy, I can do it but it might completely ruin the stability to skate. And he was, it doesn’t matter, I can skate on anything. So OK, I started doing his skates, and Paul Wylie came. And he was, what are you doing? And I’m like, I sharpen Robin’s skates. And he looked at Robin and was, I don’t think it’s a good idea. And I said, I told him but he just kind of insist [laughs]. And sure enough, the next time he stepped on ice, couldn’t do anything, just sliding all over [laughs]. And I was, I told you that, I warn you [laugh]. On his versatility as a skater: Anything that I couldn’t do good, I worked on it until it’s actually perfection. I cannot just rest until it’s done. That’s what I remember. I was working on a lot of crazy stuff, but I never showed it because it wasn’t finished [laughs]. On winning the 1985 world championships: I don’t remember so much the actual competition, but before, two or three months, just hard work. I am constantly tired, being on ice, being off ice but doing the exercises. That’s what I remember of it, for three months before that. And I was physically and mentally so ready that I didn’t expect anything less. Of my skating, I don’t mean the results because I don’t know how the others were preparing, but of mine, and I skated how I did at the practice. On his two Olympic experiences: I can say slight disappointment with both. The first , a silly mistake, I fell on a double flip but I did all the big tricks and everything, and probably I just relaxed because it’s over, but it wasn’t [laughs]. You always know it could have been better and you missed a chance. Because Olympics, it’s not like you can go back and fix it next year, you have to wait four years. It’s not tomorrow. On getting a 5.6 for presentation from British judge Vanessa Riley at the 1989 European championships because of “inappropriate undergarments”: Back in time, the professionals, the ballet dancers, they wore the dance belt, which is basically, what, G-string, the male version [laughs], which is supposed to give the nice forms instead of just the Speedo under the white costumes, which if black it always shows. So my choreographer was the ballet expert, a costume designer, and he designed it. But I think it was the first time anyone was wearing that, so I think that’s why the judge did not understand that. I think it’s a misunderstanding rather than actually the judge judging. But the highest and lowest does not count so it was thrown out. On how his competitive programs would have scored under the new judging system: My spins at that time were like Level 4. I was not holding positions simply because it was not required. I could have, but I didn’t need to. Now, 10 years, 15 years, some of the coaches say, my student is doing the fastest spin in the world, and they show me the actual measurements, and I was like, that’s half of my spin, it’s not even close to mine 15 years ago [laughs]. On moving to the United States: It was to work, mostly. After Gorbachev, that’s when the country opens, and we have the opportunity to go and actually work for real money instead of food, I guess, that’s what we were doing in Soviet Union all the time [laughs]. When the border is open, and I get my first contract, it’s work and I just stay that way. Probably by now it would be different because Russia is different. 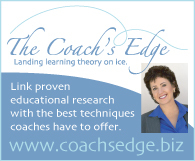 I started ice shows in 1991, and I started serious coaching in 1998. On the demise of figures: I know a lot of little tricks in the figures. You don’t even have to be good, if you know the tricks, you can be decent. Right now, the interest for figures is a little bit raised. When they cancelled the figures, everybody just gladly forgot it, and for ten years nobody even bothered to remember. And I think when they got the alternative to figures, which is Moves in the Field, I think it take them 20 years to realize it’s not the same thing. And right now, they start looking at implementing more of a figures element into Moves in the Field. I think eventually they will pack more figures into the Moves in the Field, as it becomes more of a figures thing rather than freestyle. My students, the comments of the judges, back in time they say, just edges, we don’t want to see the figures position, but now they ask for more of a figures position. I am very pleased to hear that. He should have won more than 1 World title. In 1986 he had a huge lead and only needed to be 3rd in the long program to win and totally bombed. In 1987 and 1989 he would have won with his European performances. And sad he never won an Olympic medal. Previous post: My podcast got a mention!